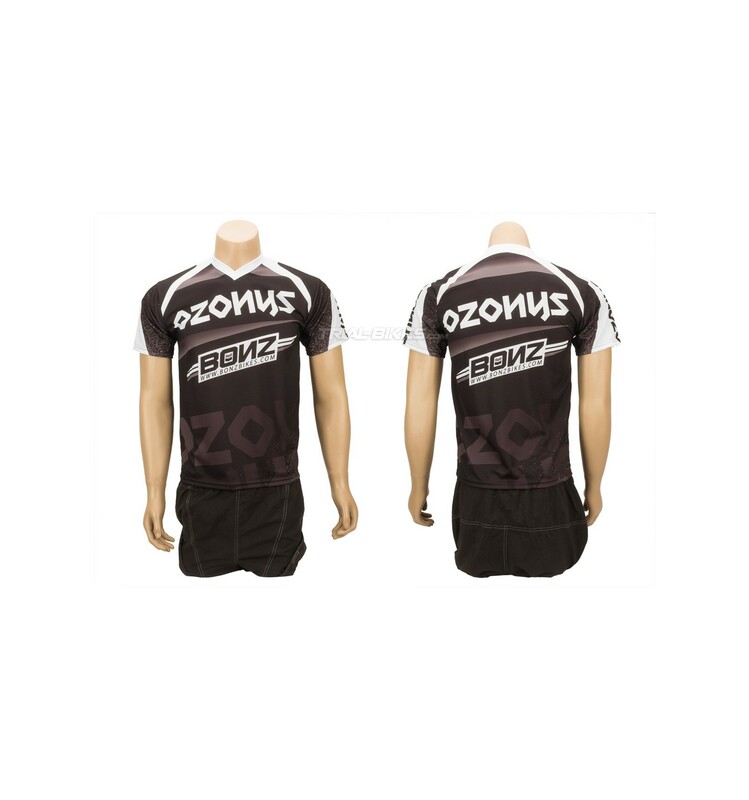 - New version of the high quality trials jersey from French brand Ozonys, for the 2015 season. 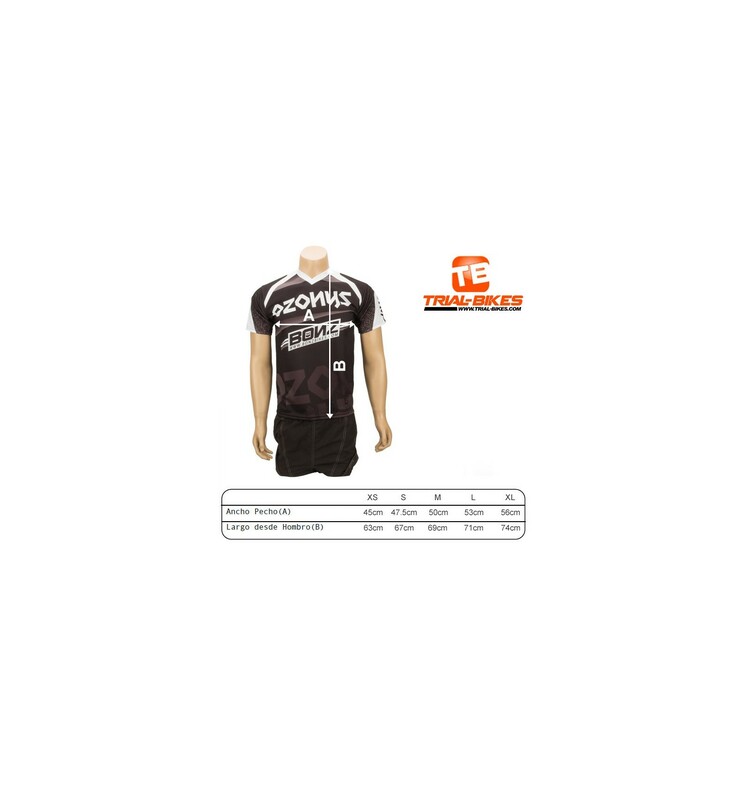 - It’s a cool lightweight polyester jersey, with all the features expected from a modern times trials jersey. 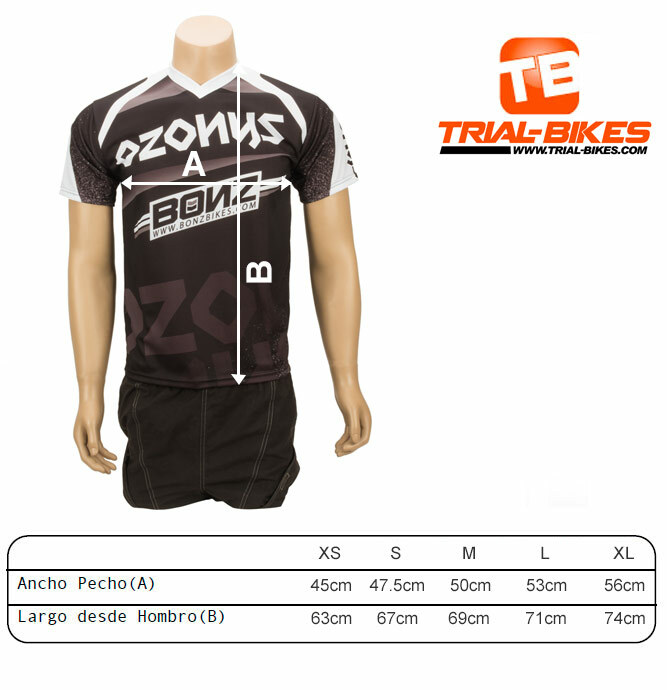 - Its minimal weight and focus on breathability are crucial for any Biketrial rider. - Lightweight, competition oriented design allows great range of motion. - Up-to-date design is great for both competitions or casual riding. 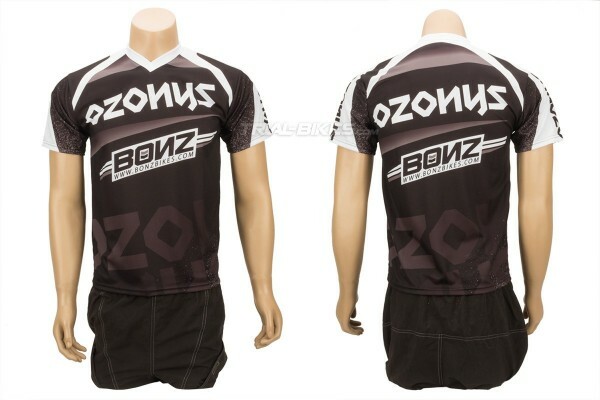 - Only available in a white/grey finish, with Ozonys and Bonz graphics in black and white. - Available in a range of sizes from XS to XL.